Apple has begun decorating the Yerba Buena Center in San Francisco with colourful banners ahead of its 22 October event, which we expect will give us our first look at the iPad 5 and iPad mini 2. 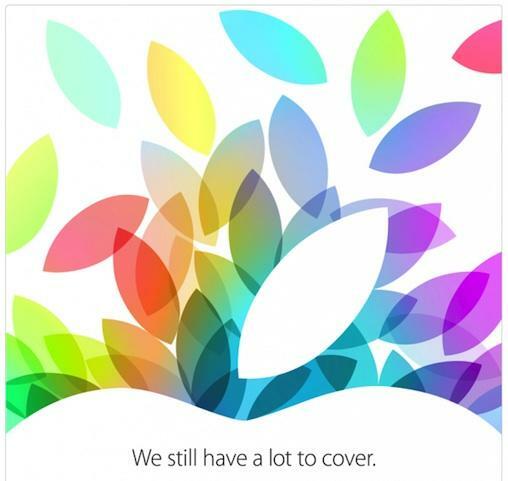 The banners covering the windows of the venue feature the same colourful leaf design as the invitation that Apple sent to media on Tuesday. As well as new iPads, it's also rumours that Apple will share more information about the new Mac Pro during the event, including the new Mac Pro's price and the new Mac Pro's release date. Additionally, OS X Mavericks may finally get a release date. It's certainly nearly ready for public release, as developers were seeded the GM version of the software two weeks ago, and were this week prompted to prepare for the launch of the new operating system by updating their apps.